The serious vulnerability (MS16-013) could allow an attacker to run arbitrary code as the logged-in user. Administrator accounts are at the greatest risk. An attacker would have to trick a user into opening a specially-crafted Journal file, which would let the attacker run programs, delete data, and create new accounts with full user rights. I don't even have FULL USER RIGHTS in Windows 10 and I'm the only one using my computers! Temporary loss of WIFI with install of Cumulative Update for Windows 10 Version 1511 (KB3135173). Adobe Flash Player - Version: 20.0.0.306 is the latest critical update! Of the 13 vulnerabilities patched by MS16-009, nine affected every version of IE that is still supported, including IE9 on Windows Vista and IE10 on Windows Server 2012. Because different versions of Microsoft's browser share large amounts of code -- that was one of the primary reasons the Redmond, Wash. company has dead-ended IE and started over with Edge -- it's almost certain that the nine vulnerabilities also exist in IE7 and IE8, and in IE9 and IE10 on Windows editions ineligible for patching. In other words, more than two-thirds of the vulnerabilities patched by Microsoft on Tuesday probably exist in the retired IE versions. Click the Product Updates in the More Information box for updates. The Chromium version must affect Chrome as it wanted to close it. Both now display the proper updated Version: 20.0.0.306! We shall never know if that could have fixed the problem! But at least we can update ourselves in XP. What's with the extra download of McAfee Security Scan? Not sure how much was necessary to do on my part. If you have an XP, just get the POS Updates and you should be fine! Chrome browser will automatically update the Adobe Flash Plugin on reboot! Ran the Windows Update Diagnostic program which fixed 3 things, but Updates still not coming. It installs first and then runs for a while trying to fix things. Note that a prompt may come up to Allow the creation of the restore point. The program just ends without saying much of anything! This Fix scanned a bit and then started looking for updates too. Ran for 3 hours! Noticed an unchecked one so I added it and went from 80% to 0! This time diagnosis took 20 minutes! Last two updates refuse to install! The following process is TEDIOUS if not RIDICULOUS so you may want to COPY the bold commands to the command window! Right click the command window header and select Edit and Paste after copying each command below. Verify paste and press Enter. I have also shown my Windows 7 results after each command below in parenthesis. Results may vary, not all may succeed! Step 2: Stop the BITS service, the Windows Update service, and the Cryptographic service. To do this, at a command prompt, type the following commands. Make sure that you press Enter after you type each command. Step 4: SKIP THIS STEP IF IT IS YOUR FIRST ATTEMPT TO FIX WINDOWS UPDATE! This step removes update history! Rename the softare distribution folders backup copies. To do this, at a command prompt, type the following commands. Make sure that you press Enter after you type each command. Expect no verifications! May indicate file or folder not found if typo. Step 5: Reset the BITS service and the Windows Update service to the default security descriptor. To do this, at a command prompt, type the following commands. Make sure that you press Enter after you type each command. Step 6: Reregister the BITS files and the Windows Update files. To do this, at a command prompt, type the following commands. Make sure that you press Enter after you type each command. Step 9: Restart the BITS service, the Windows Update service, and the Cryptographic service. To do this, at a command prompt, type the following commands. Make sure that you press Enter after you type each command. NOTE: On a SECOND TRY I would just try Steps 1, 2, 4, 9 and 10 as recently posted at M$ Support for Win 10. After a reboot, Windows Update found 10 updates and installed them all in less than a half hour! Two more reboots and SIX more updates. Now everything is good! Belarc Advisor listed Adobe Flash and Adobe Reader as security concerns. 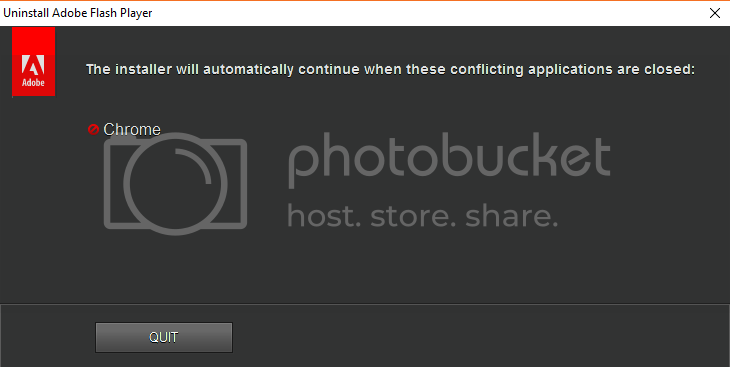 This PC did not even have Flash as it is a Plugin in Chrome and that was up to date. Now on to the POSReady XP drive on the same PC! Updates for Adobe Flash PPAPI may do the trick for Chrome that way. Open the %systemroot%\system32 folder. %systemroot% is the folder in which Windows is installed. For example, the %systemroot% folder is normally C:\Windows unless you have two OS's on one machine. Click the Details tab, and then locate the file version number. Note The latest version of the Windows Update Agent for Windows 8.1 is 7.9.9600.16422. The latest version of the Windows Update Agent for Windows 8 is 7.8.9200.16693. The latest version of the Update Agent for Windows 7, Windows Vista, and Windows XP is 7.6.7600.256. I have not tested the script tool below! This tool is provided without warranty. Any damage caused is your own responsibility! This tool renames folders and files as .BAK that will remove current Update history and edits Registry! Perhaps the code lines for that REName part could be commented out. Similar to manual steps listed above. To back up Registry: Windows key + R, in Run box type in regedit and hit Enter. My Get Windows 10 icon quit working in Win 7. It used to come up and say I needed a driver update. Should only affect Windows 7 or 8.1. Will test out the GWX Control Panel application on it soon! Adobe Flash and Java need new updates! Chrome and Edge browsers now update themselves with internal versions of Flash. Chrome users may have to check Settings Help About to update immediately. If 64 bit users find that About does not say 64 bit after version then get the 64 bit version at Chrome. Java has new updates too. Avoid the take over exploits! Even rebooted and tried update and removal without ever using Chrome. Apple has failed to warn its customers, but Trend Micro's Zero Day Initiative issued a call to action and last night the US-CERT team confirmed: If you have QuickTime on your Windows system, uninstall it now. Many people picked up QuickTime when it was a required component of iTunes for Windows. That's no longer the case -- iTunes now works fine without QuickTime. While opinions on iTunes vary (I can hardly mention it without hyperventilating), there's no ambiguity about QuickTime. Uninstall it now. The vulnerability was discovered by security researcher Stefan Kanthak and its progress with Adobe reported via Seclists. According to Kanthak the executable uninstallers prior to versions 22.0.0.192 and 18.0.0.360, which were both released on the 15th of June, were vulnerable to DLL hijacking, since they load and run Windows system DLLs from the Flash application directory instead of the more heavily protected Windows system directory. The Adobe Flash uninstallers (which have now been patched) are executed with the requirement for administrator privileges, and once granted, the escalation is accomplished. The vulnerability was present in both the 32-bit and 64-bit versions of the Adobe uninstaller. Finally Adobe released another revised patch on Wednesday, and this has resolved the issue, according to the report. 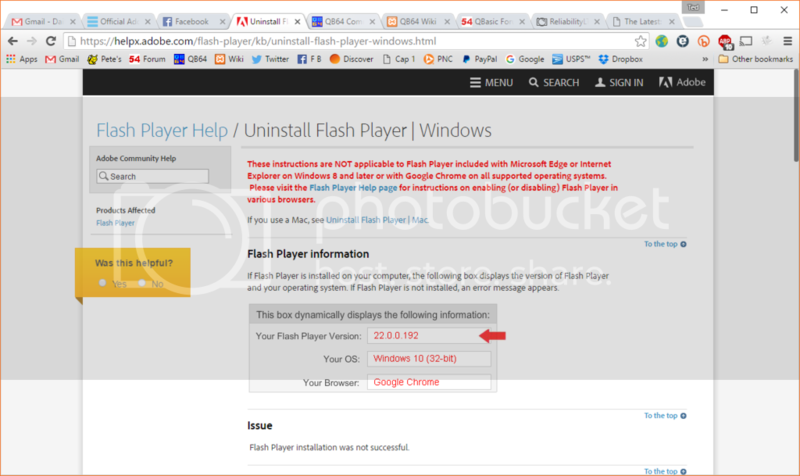 Browsers may require other means to disable or uninstall Flash. 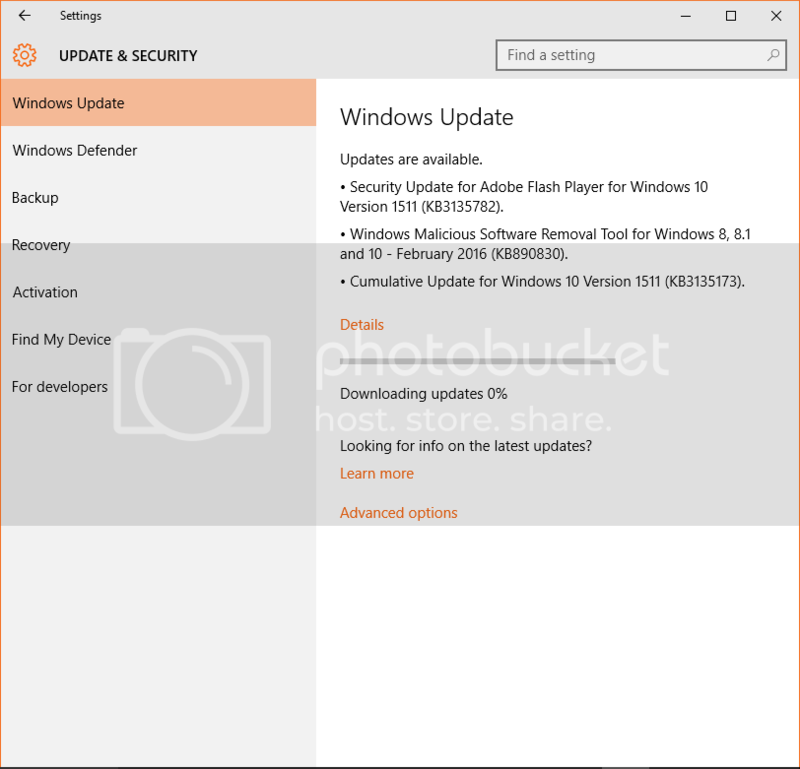 Download Update for Adobe Air for Windows if installed! Missing Adobe Air critical updates are noted by Belarc Advisor. The installer will update Windows with the latest Adobe Air version. The flaw is widely-known, and it's said to be almost 20 years old. It was allegedly found in 1997 by Aaron Spangler and was most recently resurfaced by researchers in 2015 at Black Hat, an annual security and hacking conference in Las Vegas. The flaw wasn't considered a major issue until Windows 8 began allowing users to sign into their Microsoft accounts -- which links their Xbox, Hotmail and Outlook, Office, and Skype accounts, among others. Overnight, the attack got larger in scope, and now it allows an attacker to conduct a full takeover of a Microsoft account. This vulnerability MUST be fixed SOON! U.S. businesses victimized by the malware generally didn’t suffer a heavy toll, and only 6 percent of them reported losing revenue. In most cases, the malicious code only affected personal files. The response of companies to the threat varied across countries. In the United States, only 3 percent of the businesses hit by the ransomware decided to pay the hackers. A word of caution, though. Although you can use the program after the end of support date, Microsoft won’t supply security updates to the Windows Essentials software suite. There are chances that this suite will leave your system vulnerable at some point of time.